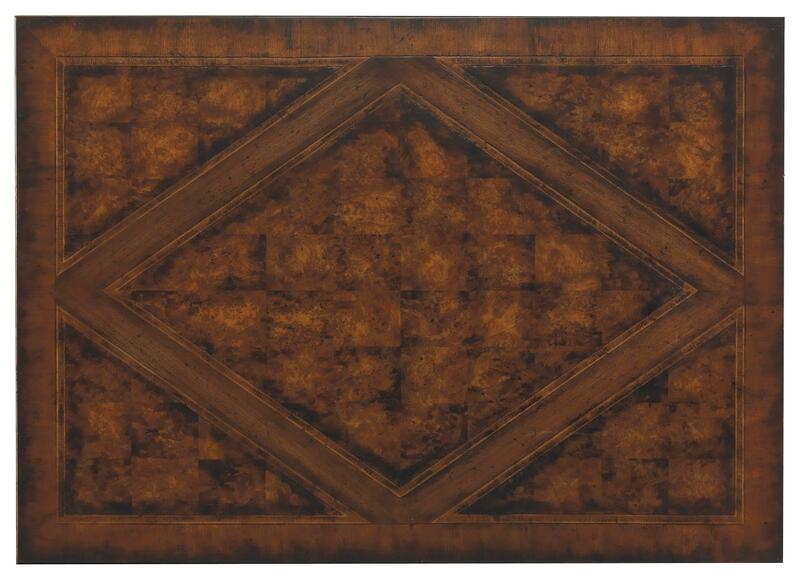 Created with a timeworn elegance in mind this table is crafted from hardwood solids and enriched with several veneers. Its striking two-tone finish is bordered by black hand painting and subtle, hand rubbed gold accents. 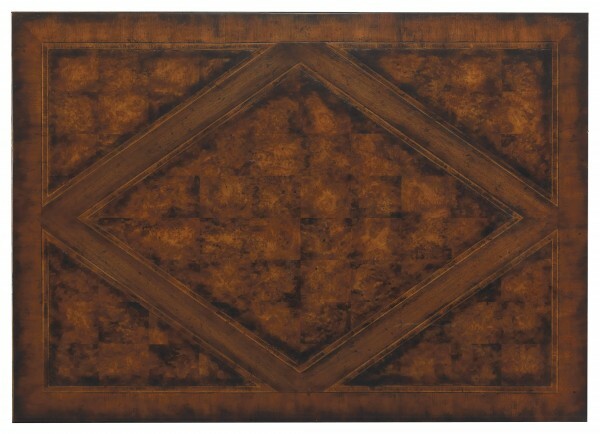 Full of drama and old world beauty this table is a definite conversation starter.